This super mom is the author of a new book, The Everyday Supermodel, in which she shares her best tips for living well, feeling great and finding beauty that radiates from the inside out. We love her tips on maternity fashion, Meatless Monday recipes and eco-friendly beauty. And of course, her new book will feature her top tricks as a supermom — with a toddler son and a baby on the way (she’s almost 9 months pregnant! ), there’s nothing she can’t do. Part of her secret is eating real, wholesome food — but this mom of two loves a good deal as much as she loves a pantry filled with her family’s favorite things. 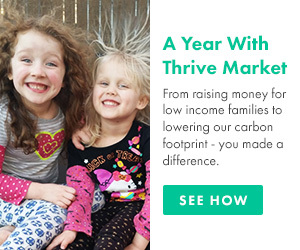 When you can score them for a great price and help low-income families also eat well, that’s a Sims-approved offer you can’t pass up. 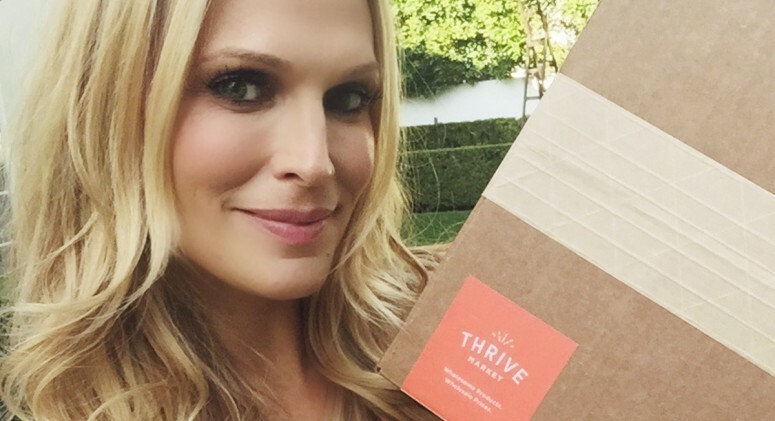 Check out her top picks from Thrive Market to help you get that supermodel, supermom glow everyday!